Federal authorities have arrested a New York man on charges of unlawfully manufacturing an explosive device, after they say he constructed a 200-pound bomb which he intended to detonate on the National Mall in Washington D.C. on Election Day next month. Paul Rosenfeld, 56, was arrested in Rockland County after authorities got a tip from an unidentified individual in Pennsylvania that Rosenfeld was allegedly communicating with about his plot. 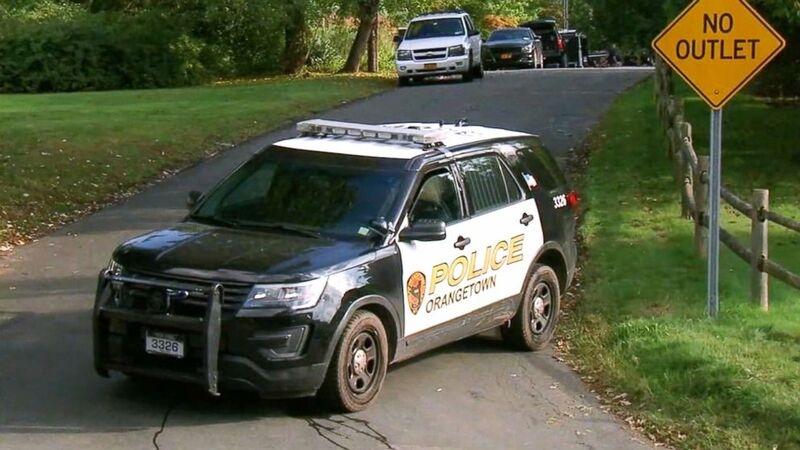 Sources familiar with the case told ABC News that Rosenfeld, who allegedly constructed the bomb in Rockland County, wanted to kill himself in the process of detonating it. Letters and text messages that Rosenfeld allegedly sent to the Pennsylvania tipster detailed his plot, authorities said in a criminal complaint. Investigators examine a scene in Rockland County, New York. "Rosenfeld's letters and text messages stated, in substance and in part, that he intended to 1) build an explosive device; 2) transport the explosive device to Washington D.C.; and 3) detonate this explosive device on November 6, 2018, on the National Mall in Washington D.C."
Rosenfeld adheres to an ideology called Sortition, which advocates that government officials should be selected by lottery rather than popular vote, according to the complaint. He was arrested on Tuesday in Tappan, New York, by FBI agents and local authorities, according to the complaint. Armed with a search warrant, FBI bomb technicians discovered and removed a plywood box filled with eight pounds of gunpowder. Rosenfeld had previously constructed several smaller explosive devices for practice, according to the complaint. Rosenfeld was scheduled to appear in federal court in White Plains on Wednesday. It was not immediately clear whether Rosenfeld had retained an attorney or been assigned a federal public defender.